Herman Cain is likable, but is that enough for him to grab the Republican nomination? 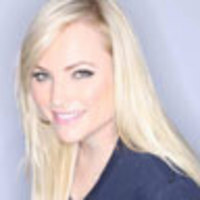 Meghan McCain on why the party needs to rally around a candidate soon—before it’s too late. As soon as the last Republican debate ended, my mother called me and asked what I thought. I told her my opinion on the candidates was pretty much unchanged with just one exception: the more I see Herman Cain, the more I want to grab a beer and slice of pizza with him. The recent Florida straw poll results show that I’m not the only one who is developing warm feelings for the pizza guy. Cain surprisingly took nearly 40 percent of the vote, doubling the totals from the frontrunners Mitt Romney and Rick Perry. Cain caught my attention because he seems to be bringing a much-needed sense of humor to the Republican race, running on the platform that “America is too uptight.” Who wouldn’t find that refreshing? Herman Cain has also gained attention for attending more than 40 Tea Party rallies across the country and proposing his “9-9-9” tax reform plan. Combine that with his successful performances at the Republican debates and it all equates to his growing momentum. At the same time, Sarah Palin accused Cain of being the “flavor of the week,” and this is one of the rare times I agree with her. The Republicans are suffering from what Bill Maher recently dubbed a “promiscuous” problem with our candidates. We keep having one-night stands with politicians we think we only want to marry, and then get cold feet. The short list includes the likes of Donald Trump, Michele Bachmann, Rick Perry with a possible addition of Chris Christie. All of this excitement is soon followed by a quick fizzle of disappointment when these candidates look flawed under the spotlight of the media, incapable of pleasing the temperamental Republican base. It's as if we are more concerned with the drama of electing a new prom king than concentrating on who the best person to beat Obama is. We are a little more than three months away from the New Hampshire primary and Republicans need to start getting our act together. Cain has a very small window right now to utilize his momentum and prove that he should be the next GOP nominee. But let’s face reality: as much as even I can find myself developing warm feelings toward Cain because he seems like a nice, charming and normal person, if that were the only qualifications for president, we should be nominating Zach Galifianakis. Although Cain has been outrageously successful as a businessman, he has almost no experience in politics and has never actually held public office. In the time of such extreme anti-Washington rhetoric, Cain may play like a good thing in the primary stump speeches. I admit that even I have found myself getting caught up in his moment. But I assure you when the rubber starts hitting the road, voters are going to want someone with real experience in all areas of politics, especially when it comes to foreign policy, something Cain has no experience in, unless Godfather's Pizza delivers to Canada. Come 2012, I am not going to be voting for someone based on who I think would be the most fun to hang out and have a beer with. I am going to be voting for the person that I think will have the best chance of beating President Obama and gaining votes from independents. The Republicans need to start getting serious and concentrate on electability as opposed to the person who can garner the best sound bites and media attention (I’m looking at you, Donald Trump). The time for flirtation with media personalities is over. It’s time for Republicans to commit to real leadership.